Universal Input Voltage Series LED drivers are suitable with wide input rating voltage for global market. The design of metal housing and IP67 ingress protection level allows this series to fit both indoor and outdoor applications. the MUxxxAQ_CP Series is a constant-current, programmable outdoor LED driver run with excellent power factor. 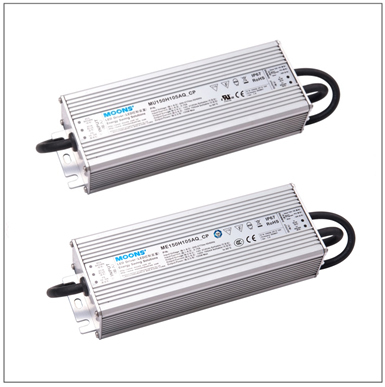 Narrow Input Voltage Series LED drivers are suitable with input rating voltage for European and Chinese market. Ideal for higher lumen applications, the MExxxAQ_CP Series is a constant-current, programmable outdoor LED driver that operate from 176～305 VAC input with excellent power factor.